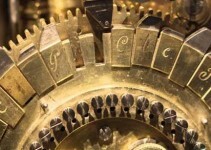 Are you a working woman with the hectic work schedule that keeps you busy all the time? Or are you a student who does not get enough time to pay attention on her clothes but still want to look stylish? 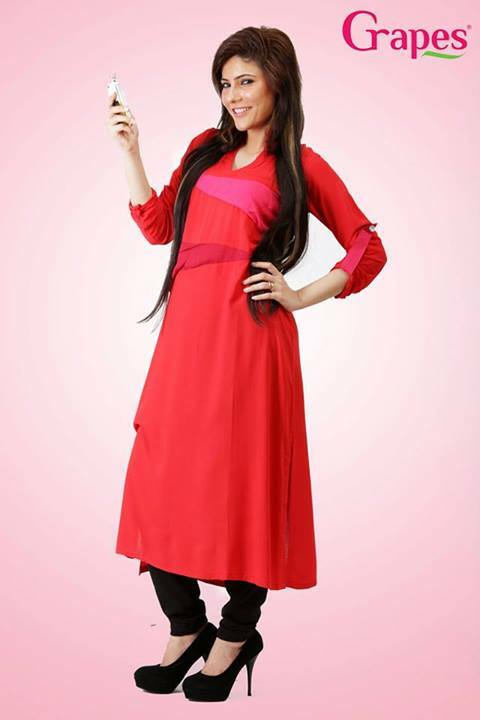 If yes, then our very famous local brand “Grapes” has solved your problem by offering you an exotic ready to wear Kurtis Collection for Girls for 2013 that will take your breath away. 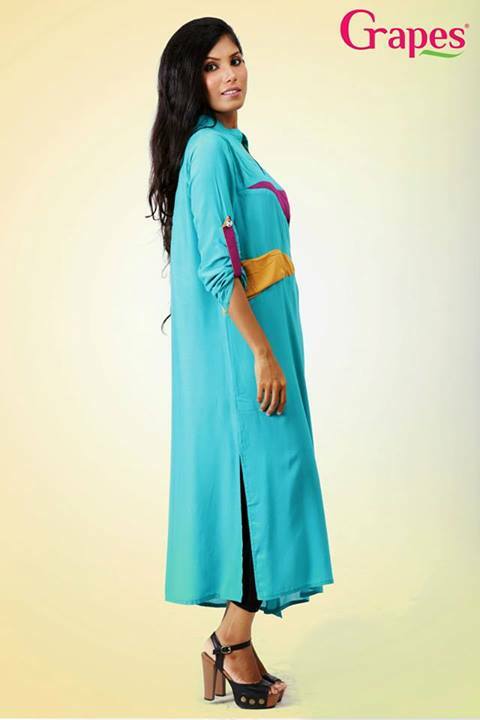 This local brand has emerged in the local years and it aims to provide the most appealing collection for every season. In the modern world of fashion, one in stuck in the hustle and bustle of life so a person hardly gets time to pay attention on the clothes. Everyone wants to look stylish and trendy but it is a fact that it is almost impossible for common people to ransack the markets in order to find good prints and designs. So most of the people find it preferable to go for ready to wear collection. 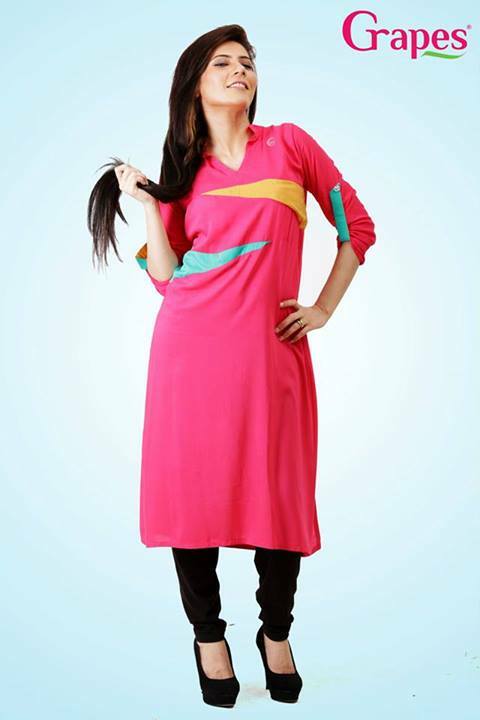 “Grapes” has lessened the trouble for us by providing us the most unique designs of kurtis by keeping the price in an affordable range. 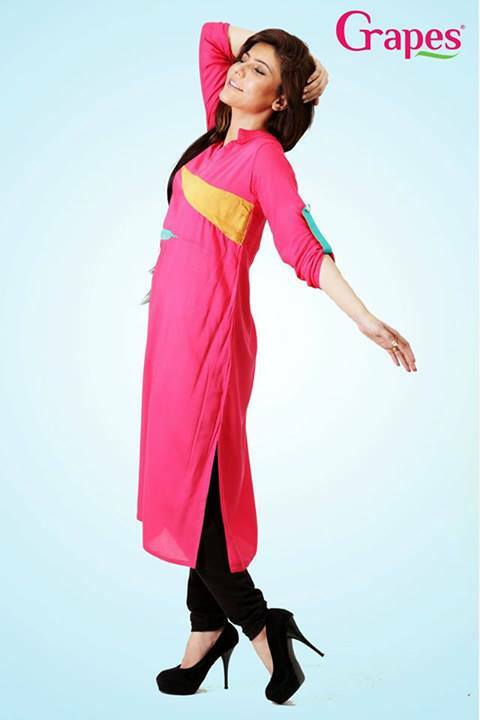 The designers associated with the brand have worked very hard to come up with the most beautiful ready to wear Kurtis Collection for Girls. This beautiful collection uses the most striking color combinations and designs. 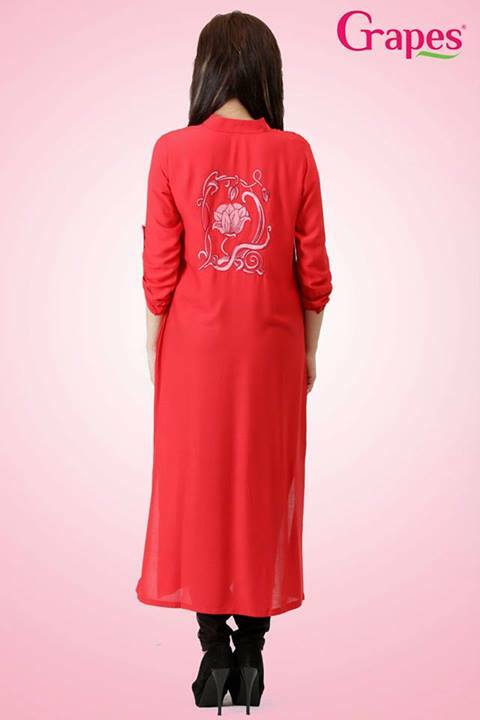 Grapes has tried to keep it simple yet elegant and hence they have produced some very beautiful pieces using the patches of attractive color on plain base. They have used attractive and eye catching color for the patches such as yellow, sky blue, red and pink. This design looks extremely appealing and eye catching and will definitely mesmerize your friends. 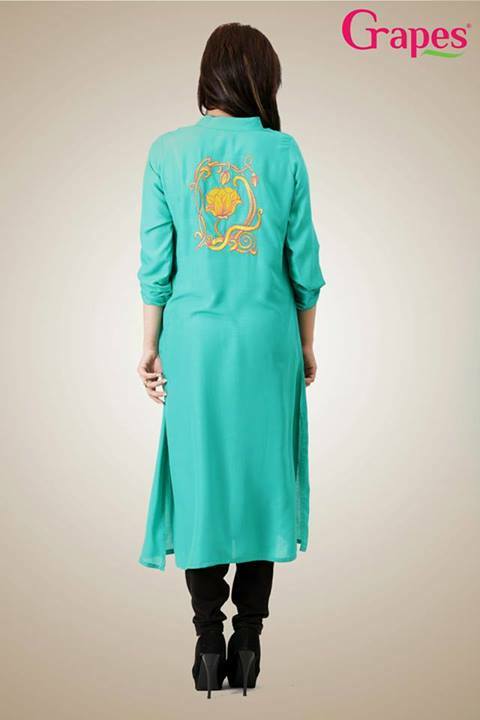 In addition, beautiful embroidered motifs are used on the back side of the shirts in order to come up with breathtaking pieces. The stuff used for these clothes is chosen according to the weather of the country. 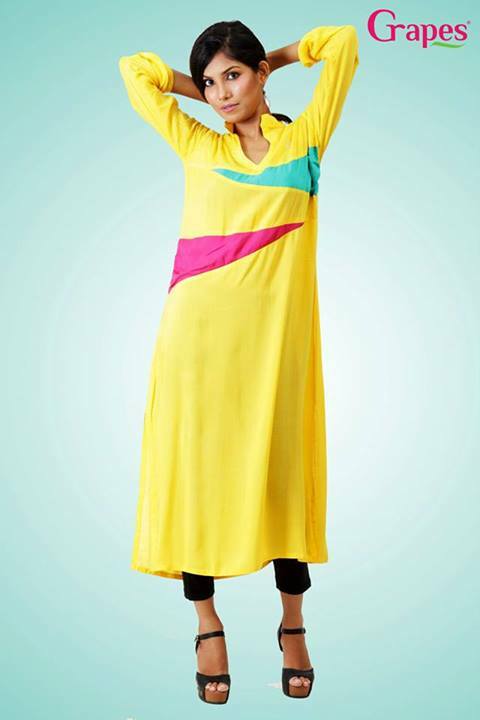 The Kurtis Collection for Girls are really colorful and contain all the refreshing colors. 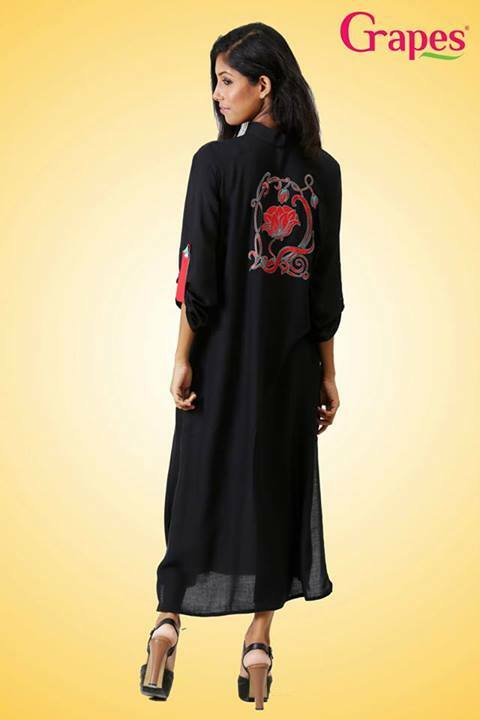 The kurtis collection is a versatile one; the dresses can be worn to both formal and informal occasions. So, if you have to attend a birthday party of a friend or some formal family gathering, you don’t have to worry about the dress. You can always dress yourself up with the “Grapes” ready to wear collection. The brand has given a very decent dress collection keeping in view the intolerable and harsh weather of the country, and that is why they have used light and fresh colors in the dresses to provide you cool and breezy pieces to wear. 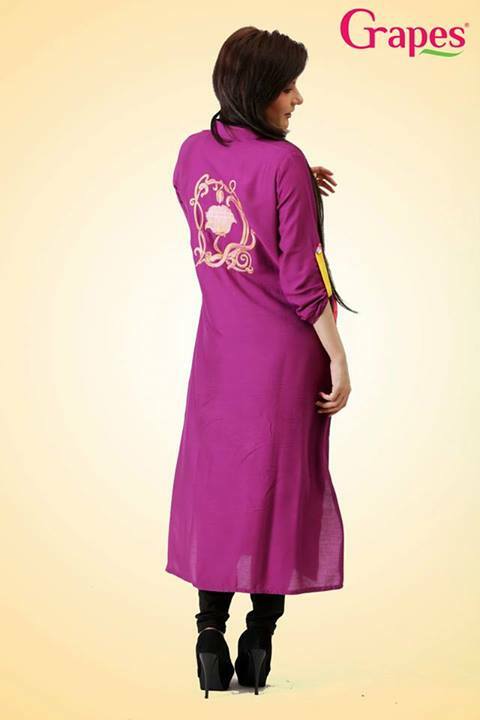 So it is time to beat the heat with the “Grapes” ready to wear Kurtis Collection for Girls.